Providing you the best range of double block & bleed valve with effective & timely delivery. With desire to cement our reputation in the market, we are engaged in offering an excellent range of Double Block Bleed Valve. Keeping in mind existing market development, this valve is manufactured by our deft professionals employing finest quality raw material and modernize tools. It is mainly used in high pressure pipe lines. Apart from this, our quality inspectors perform a series of test on the entire range ensuring its flawlessness. Optional vent valve bonnel assembly OS&Y bolted Anti-Tamper and globe style assembly with nonrotating needle trim. 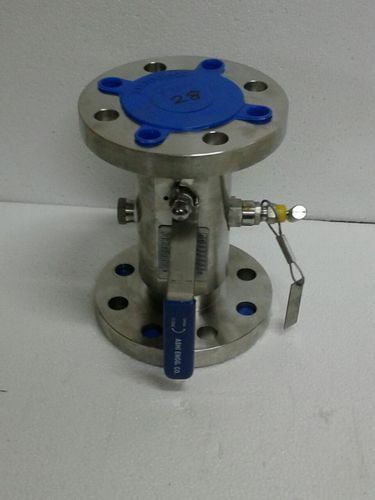 Looking for “Double Block & Bleed Valve”?